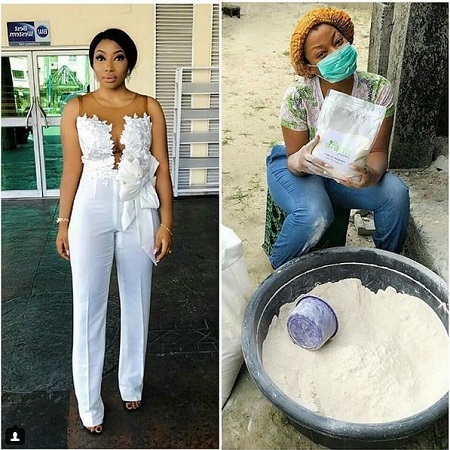 Nigerian entrepreneur, Ogochukwu Maduako who has refused to wait for government work has taken to social media to count her gains after venturing into agriculture. Maduako wrote: "Hello My Name is Ogochukwu Maduako, I am a Farmer and a recycler. I recycle eggshells which is (poultry by product) into Bio material called CALCIUM. I am a graduate of Abia State University Uturu, where I obtained Bachelor of Science (B.SC) in Agricultural Economics & Extension and currently am closing out on my Masters in International Economics & Finance at the department of Agriculture in Rivers State University. Eggshells are gotten from the consumption of poultry by-product called EGG. Eggshells are great source of calcium, when recycled into powdered form can be used as a planting materials as a natural fertilizer for the soil, it is a good calcium supplement for snail and also poultry layers for good formation of their shells. It is essential for the strawberry, bell pepper, watermelon etc farmers. Interestingly, it is consumed by Humans as well.Practicing Agriculture as a female is fun. it stands me out where ever i go. it gives me the edge to be known and noticed most especially the fact that i recycle what people see as waste. The journey so far has been quite interesting. As we all know destiny comes in pieces. So we are trying to bring all of its pieces together.Major challenges; It’s really not easy trying to sell a new idea to the market that are used to an old existing idea. You need a whole lot of conviction but most of all you have to be very grounded with the knowledge of what you are trying to sell. Advice to youths; if what you want doesn’t exist, create it. In 2-3 years, I see @ifarm go global because recycling of eggshells is not just a challenge we face here in Nigeria but rather it is a challenge faced by other countries on its disposal technique."